Regardless of your floor space, this Nexera TV stand is sure to fit right in. The walnut free standing TV stand can hold a television up to 51-inch to 60-inch. This is the perfect piece to store movies, gaming consoles, and even speakers. This Nexera TV stand is sure to fit any floor plan. Easily support your 51-inch to 60-inch television with this white free standing TV stand. Games, movies, and even speakers can be stored in this handy piece. No matter your floor plan, this Nexera TV stand will fit right in. This white free standing TV stand can easily accommodate 51-inch to 60-inch televisions. Use this piece as a handy place to store movies, gaming consoles, and even speakers. Fit any floor plan and space with this Simpli Home TV stand. Easily support your 51-inch to 60-inch television with this brown free standing TV stand. A handy spot to store your movies, gaming consoles, and speakers. Next 59.75-inch x 20.25-inch x 18.63-inch TV Stand in Walnut Regardless of your floor space, this Nexera TV stand is sure to fit right in. 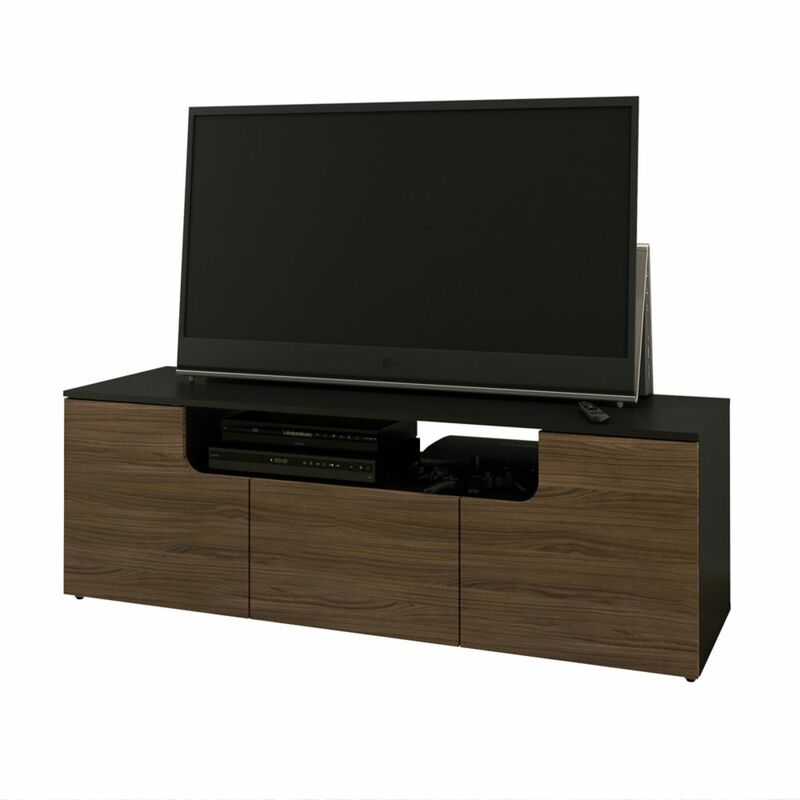 The walnut free standing TV stand can hold a television up to 51-inch to 60-inch. This is the perfect piece to store movies, gaming consoles, and even speakers.